Once again, Brolio Castle will display two installations of contemporary art. For the third year in a row, the Art of the Treasure Hunt exhibition is bringing selected works into the most picturesque places in the Tuscan wine landscape. From now until the end of October the courtyards, historic buildings and cellars of the estates chosen for this third exhibition will act as backdrops to the exposition of sculptures and installations by well-known artists from the international contemporary art scene. After the participation in the two preceding years with Heinz Mack’s Silver Stele and Not Vital’s Lotus Flowers, Brolio Castle is one of the stops of this original artistic itinerary which traverses the Chianti Classico area. We will host two works: Bambini by Magdalena Abakanowicz and Mushrooms by Sylvie Fluery. 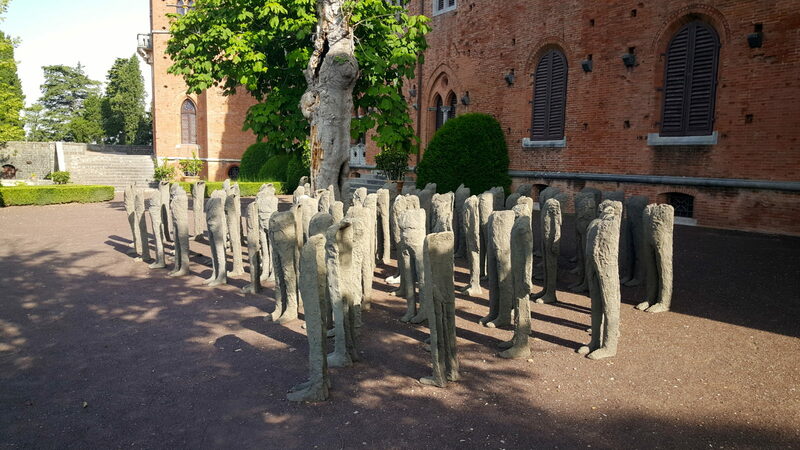 Bambini by Magdalena Abakanowicz, a polish artist who died last year, is composed of 83 sculptures of children – originally created between 1998 and 1999 for an installation at Les Jardins du Palais Royal in Paris – made with various materials but all headless. This is an interpretation by the artist of the suffering that occurred during the Second World War. Today, this work may also be interpreted as a projection of the suffering of refugees and the victims of Syria. 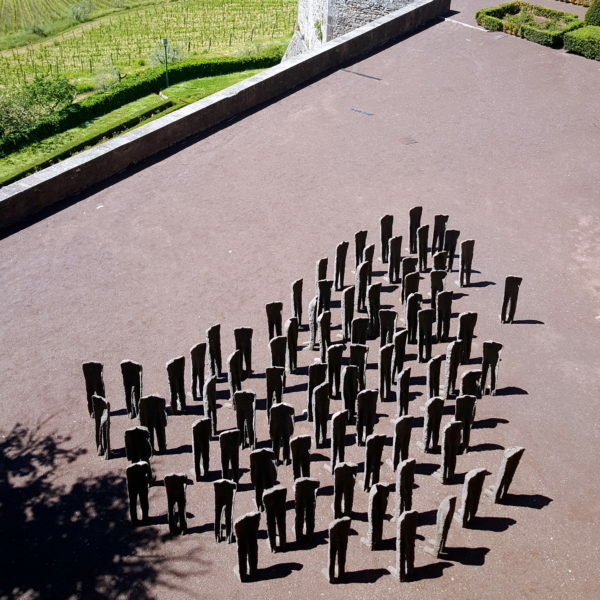 The work has been installed on the terrace in front of the Castle, and in accordance with the intentions of the late artist, every visitor and every observer can discover its many meanings, because different personalities coexist within each sculpture. 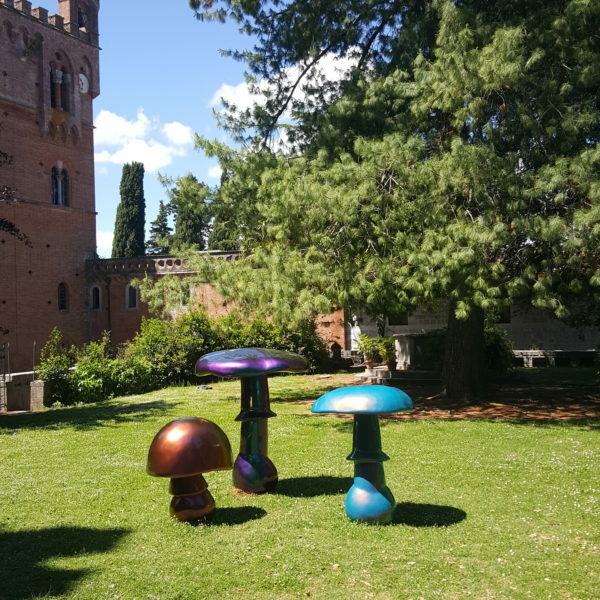 Mushrooms are instead the elements of the sculptures by Sylvie Fluery, created in 2014 in fiberglass and metallic paint. The work refers to the processes of contemporary industry but it was inspired by the fable-like atmospheres of Alice in Wonderland combined with the effects of hallucinogenic substances. The Swiss artist, who lives and works in Geneva, is known for her ability to join icons of Pop Art with aesthetic minimalism in her works. 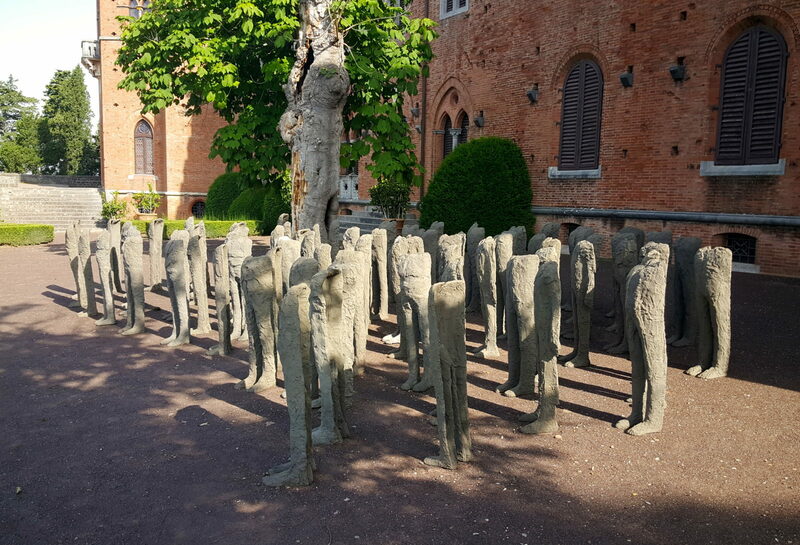 The two installations are at Brolio Castle and they can be admired with a simple entry ticket purchased at the ticket office, the same ticket that allows visitors to stroll through the Castle gardens without booking ahead.